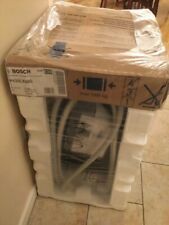 Bosch Fully Integrated Dishwasher - White. Condition is Used. Collection in person only. Condition is Used. Collected by 23rd of April. 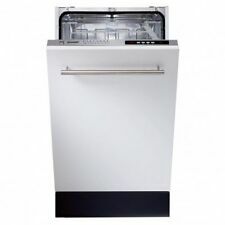 Slimline Dishwasher Freestanding by BEKO (DE 2542 FW) in White. Used. Condition is Used. Hot air drying system. On/Off switch with indicator light. Rinse aid indicator light. Salt indicator light. Technical Details. Can be installed under worktop. Special flood protection system. Zanussi ZDT21006FA Fully Integrated Full Size Dishwasher. Condition is New. Collection in person only. Used Black beko dishwasher full size good working order quite a few scratches. Used Black beko dishwasher full size good working order quite a few scratches. Also, a piece of the plastic a broken off around the handle. See picture. Condition is Used. We have replaced as my mother in law has moved home and given us a nearly new one. Pick up from Leigh-on-Sea SS9. now removed and ready to be picked up. Thanks for looking. 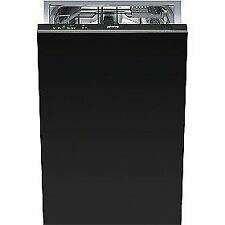 Bush Slimline Dishwasher WQP8-9269 with instruction book and salt filler funnel. Not the quietest of dishwashers but works well. Minor dinks to casing on one side. Cold fill only, hose included. Height 34". Undercounter slimline Bosch Dishwasher - White. In good condition. Dimensions: 45cm width, 85cm height. Any questions, don't hesitate to get in touch. Fisher paykel dishwasher DD60DDFHX7. Condition is New. Collection in person only. Bosh dishwasher (Silence Plus, Serie 2). Condition: used only for few months (almost brand new) Fantastic and really silent dishwasher. Used only for few months. Sitting in my garage in its box since we moved to this new house which has all fitted kitchen appliances. Grey/silver metallic stainless steel colour Could arrange shipping in the UK at buyer’s cost but ideally is to be picked up. Hotpoint Aquarius dishwasher. In good working order when it was removed. It is compact (45cm wide and 60 cm deep) and fits nicely under the worktop. White with mottled top. It has been a real treasure in our household of two adults. 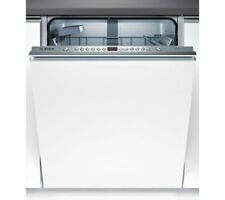 Beko dishwasher DL1243APW free standing in white. Condition is Used. Collection in person only. You can collect any item from our depot in Eccles, Lancashire. Quick wash: 29 minutes. Model Serie 2 SPV25CX00G. Also known as: SPV25CX00G. Type Built In Fully Int. Slimline Dishwasher. Height (mm) 815. Width (mm) 448. Depth (mm) 550. This is subject to the size of the product ( getting past obstructions / through doorways ) and also in weight. Manufacturer Product Code MDI800. Currently on display Sleaford, NG34 7EW. For collection only. COLLECTION DETAILS. Water consumption 2520L / annum. Noise level 47dB. Energy Consumption 267kWh (annual). Model LV612BLE. Type Dishwasher. Self Balancing Door Hinges Yes. Rapid 27 mins Yes. We are open until 2pm Xmas eve and then closed until 27/12/17 when we shall re-open as normal. Then closed again 2pm on 31/12/17 until 02/01/2018. Type Slimline Dishwasher. zero seven nine two one. seven six eight five eight seven. Colour : Stainless Steel. Colour Stainless Steel. Filter Type Stainless Steel. Number of Wash Temperatures 4. This dishwasher has been tested and is in full working order. This Beko DE2542FS Slimline dishwasher is a stylish dishwasher that is seated A for energy efficiency, and has been awarded an A for both cleaning and drying performance. Half load option for smaller wash loads : No. Place Settings : 12. Number of wash temperatures : 3. Delicate wash option : No. Rinse aid level indicator : No. Cleaning performance grade : A. Colour Of Unit : White. The dishwasher also indicates whether you need to refill the salt and rinse aid. The Candy full sized dishwasher is an efficient and economical dishwasher for keeping your dishes clean. 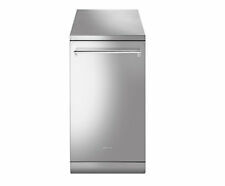 Bosch SMV46IX00GB 60cm Stainless Steel Integrated Dishwasher. TypeFull-size integrated dishwasher. Number of wash temperatures5. 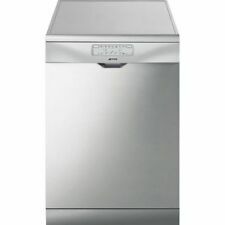 Box contentsBosch Serie 4 SMV46IX00G Full-size Integrated Dishwasher. - Curved spray arms. Product code:LV22SS. Model LV22SS. Type Dishwasher. Number of Wash Temperatures 4 (38°C, 50°C, 65°C, 70°C). Colour - Silver with Stainless Steel Door. Colour Silver with Stainless Steel Door. Rapid 27 mins Yes. Bosch Serie 2 SPV25CX00G Built In Fully Int. 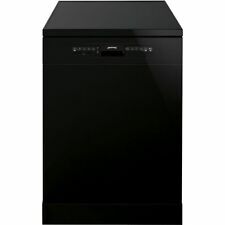 Slimline Dishwasher, Black. Isle of Wight, Isle of Man, Northern Ireland, Scottish Highlands and other surrounding offshore areas. For health & safety reasons, ovens and cookers must be installed by a qualified electrician or qualified gas engineer. Other than that its in good condition. The Bosch SMV46IX00G fully integrated dishwasher with SilencePlus is the ideal addition to any kitchen including open plan living. With a capacity for 13 place settings spread over a height adjustable top basket and foldable plate basket in bottom rack you will have plenty of options and versatility. And, ActiveWater technology reduces energy and water usage without compromising on performance. You can always expect the best results from this Bosch dishwasher, with its ‘A’ rated drying and washing performance. Don't let the washing up get in the way. The MDI800 Fully Integrated 60cm dishwasher has a quick-wash program which cleans your dishes in just 30 minutes. It also has an Info LED display which shines a light onto your worktop to indicate the current status of the dishwasher during washing. Model LV22W. Type Dishwasher. Self Balancing Hinges Yes. Number of Wash Temperatures 4 (38°C, 50°C, 65°C, 70°C). Rapid 27 mins Yes. Colour White. We are open until 2pm Xmas eve and then closed until 27/12/17 when we shall re-open as normal. Semi-Integrated Dishwasher. Good Working Bosch. Good working unit. Tested. Making your dishwasher easier to load, the cup racks can be folded down to create extra room for larger dishes, pans and bowls. And, it's built to be more energy efficient, helping to keep your energy bills down. Black WT5113. Double Dish Drawer. Flow Through Detergent Dispenser- Yes. Rinse Aid Indicator Light Yes. Pitch Adjustable Tines Yes. Child Lock Yes. Cutlery Basket 2. Quiet Operation Yes. Above 150 Coastal areas, Devon and Scotland etc. 150 from B9 4EG. Miles (up to). Height 820 - 880 (adjustable feet). Water usage (per annum) 2260L. Noise (dBa) on standard cycle top drawer 49dBA. Energy usage: 187kWh/year. Dishwasher Type Full Size Dishwasher. Fair condition. Scratch marks over buttons, few scratches on the door and a dent. Kick plate loose. Fully tested and working. Anti Flood Devices Yes. Colour White. Bosch Dishwasher SMS40T32UK good Condition, Fully Working. Condition is Used. Great machine, only changing due to needing an integrated dishwasher which I have bought the same brand. Excellent. Collection only 1 min from m6 junction 27 Standish.